The Fife and Angus market has been driven in part by the new Queensferry Crossing, which will significantly shorten commuting times to Edinburgh. During the second quarter of 2017 (April June) Galbraith reported a 35% increase in residential sales in Fife and Angus compared with the same period last year. Sales in the area also are up by 21% on the preceding quarter. This quarter has been a very successful one for us because we have the local knowledge and expertise to offer our clients a service they can't obtain elsewhere. We have a substantial database of registered applicants looking to buy -- and in many cases those who are the first to view a property will be able to secure it. Fife is a seller's market at the moment because demand for property here is growing fast. The new Queensferry Crossing is expected to significantly reduce journey times between Fife and Edinburgh, opening up access for tourists to the area and making life much easier for commuters. This area is already highly sought after for the fantastic countryside and quality of life it offers, but now it is also more accessible to and from the central belt, offering buyers the best of both worlds. 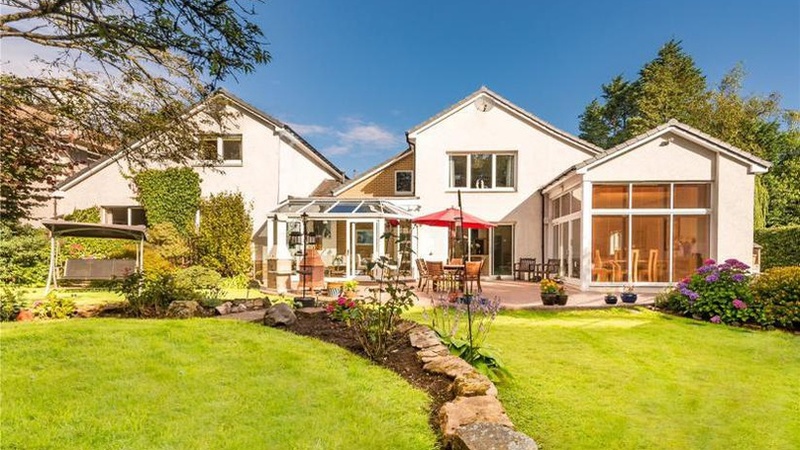 Fife is of course the Home of Golf, which is another big attraction for those looking to buy. Carnoustie plays host to The Open in July next year and it will be the turn of St Andrews to host the tournament in 2021. The other huge addition to Fife's cultural scene will be the opening next year of the new V & A Museum in Dundee, Scotland's first design museum. Dundee is to benefit from a 1 billion investment to redevelop its historic waterfront. This will be transformational for the city and the whole surrounding area. Properties priced between 250,000 and 500,000 are selling really well in Fife so now is a great time for sellers to consider putting their property on the market. Across Scotland as a whole, Galbraith has seen a healthy 10% increase in sales for the quarter ending 30 June 2017, compared to the same period in 2016. The firm handled over 42 million worth of property sales over the past quarter alone. Bracklinn an exceptional 4-bedroom modern house situated in a highly sought-after area of Cupar and finished to a very high standard. Offers Over 595,000. Lucklaw Steading a very substantial country property in north east Fife with far-reaching views over the surrounding fields and countryside to St. Andrews Bay. The property is comprised of a large main house, a separate cottage and extensive garden with scope for creating a pony paddock. Offers Over 595,000. Tamley House is a well presented and substantial detached modern home, which enjoys a lovely setting on the edge of a quiet hamlet but also close to Cupar. Offers over 699,995.